I am a senior research scientist (directeur de recherche) with the AVIZ project team at Inria-Saclay / Université Paris Saclay, south of Paris in France. 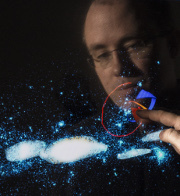 My research focuses on interactive scientific visualization and illustrative rendering, using methods from computer graphics, non-photorealistic rendering (NPR), and human-computer interaction. 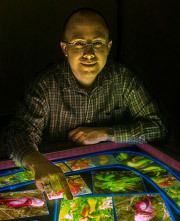 I am specifically interested in (2D and, in particular, 3D) interaction techniques for work with illustrative visualizations on large, touch-sensitive displays as well as illustrative visualization that is inspired by traditional illustration. I am currently looking for a PhD student with a solid background in computer graphics and/or visualization who is interested in working with me on the topic of Support of the Interactive Visual Exploration and Classification of Temporal Development in 3D Datasets using the Example of Cell Division Data. Please contact me by e-mail if you are interested or directly apply at the mentioned application site. June 2019 We will present two journal articles at EuroVis 2019: one on “Augmenting Tactile 3D Data Navigation With Pressure Sensing” and one on “Hybrid Touch/Tangible Spatial 3D Data Selection”. May 2019 We will present a workshop paper on “A Vision of Bringing Immersive Visualization to Scientific Workflows” at the CHI 2019 Workshop on Immersive Analytics: Interaction Design and Prototyping for Immersive Analytics. May 2019 Our journal article on “Analysis of Drawing Characteristics for Reproducing Traditional Hand-Made Stippling” is published in the journal Computers & Graphics. 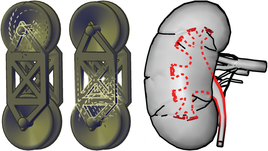 March 2019 Our survey article on “Multiscale Molecular Visualization” was published in the Journal of Molecular Biology. October 2018 Mickaël Sereno started as my new PhD student, working on collaborative data exploration and discussion supported by AR. September 2018 Our journal article entitled “Pondering the Concept of Abstraction in (Illustrative) Visualization” has been published in the journal IEEE Transactions on Visualization and Computer Graphics. September 2018 Our journal article on a “A Survey of Surface-Based Illustrative Rendering for Visualization” has been published in the journal Computers Graphics Forum. August 2018 We presented the conference paper “Reducing Affective Responses to Surgical Images through Color Manipulation and Stylization” at Expressive 2018. My former PhD student Lonni Besançon received a PhD thesis prize honorable mention award from GDR, AFIG, AFRV, and EGFR for his thesis “An interaction Continuum for 3D Data Visualization.” Congratulations! June 2018 Our journal article on “A Model of Spatial Directness in Interactive Visualization” has been accepted for publication in the journal IEEE Transactions on Visualization and Computer Graphics. February 2018 Our project “NAVISCOPE: image-guided Navigation and VIsualization of large data sets in live cell imaging and microSCOPy” has been accepted and will be funded.